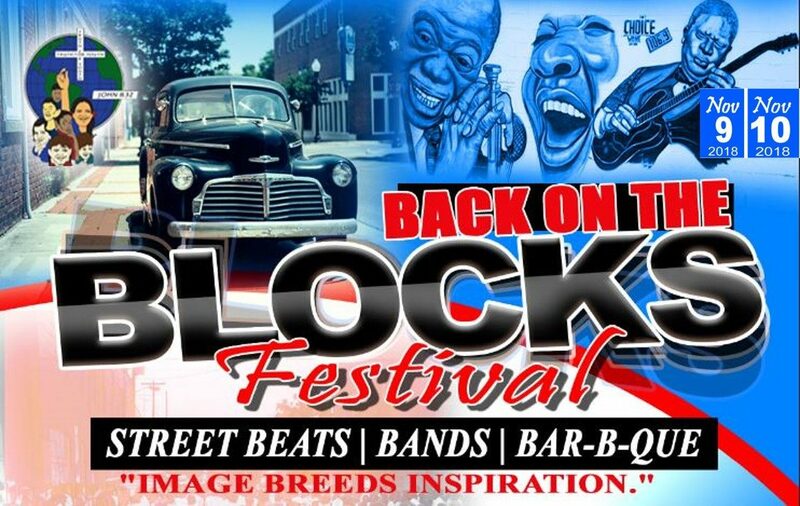 Motown Madness Music Medley by Back On The Blocks: “An evening of sangin’, dancin’, and eatin’- THE SOULFUL WAY!” - to be held on Friday, November 9th, 2018 at the Brownsville Community Resource Center, 3200 W. DeSoto Street, Pensacola, FL 32505 at 6:00pm, doors open at 5:00. Fee: $10.00, advance tickets, $15.00 at the door. 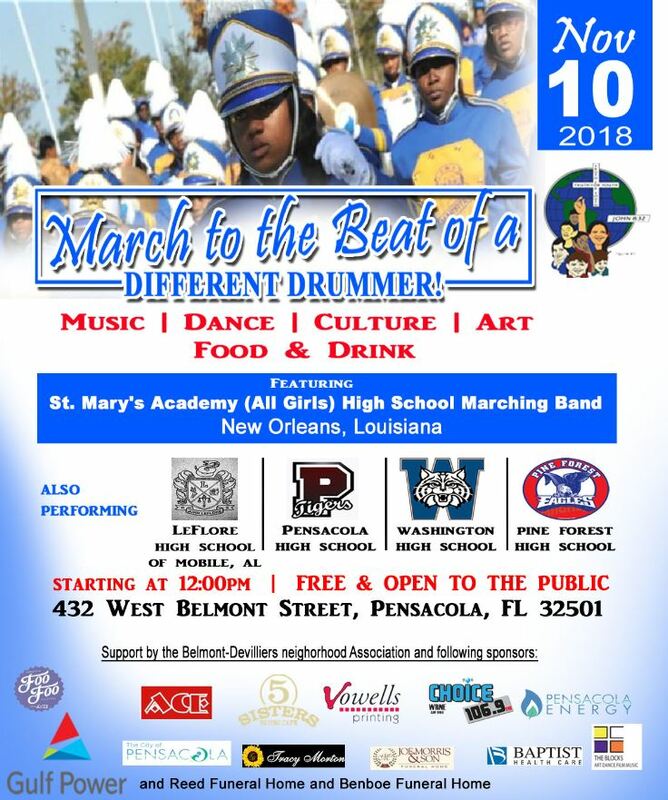 This one day event of Motown Soul music celebrates and honors the legendary African-American singers, musicians, and entertainers from the 40's, 50's, 60's, and 70's who created the traditional SIGHTS, SONGS, and SOUNDS of SOUL, to include songs by: The Temptations, Aretha Franklin, and even Louis Armstrong who appeared in Pensacola in 1941 when he sang to the troops! Join us in celebrating a tribute to the "Queen of Soul", Aretha Franklin! 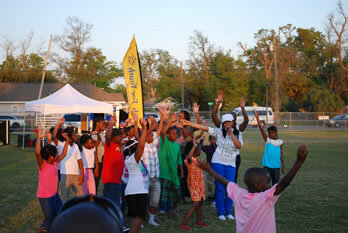 Entertainment provided by: Crystal Clear Band, Atlanta, GA. This one-day music battle and jam session occurs on stage and on street corners performed by local, regional, and national musicians. This event includes a Battle of the Bands Challenge as high school, college, and variety bands “strut their stuff”. This event is FREE & OPEN TO THE PUBLIC. Entertainment provided by: St. Mary's Academy (All Girls) H.S. Marching Band, New Orleans, LA; John LeFlore Magnet H.S. Marching Band, Mobile, AL; local favorites: Booker T. Washington H.S. Band, Pensacola H.S. Band, and Pine Forest H.S. Band, and other various musical entertainment. A family friendly, kid friendly interactive art performance area for kids to enjoy the Imagination Station, arts & crafts, face-painting, hula-hoop, jump rope, and various children’s games. (Saturday, November 10th, 12:00pm-5:00pm, Belmont Cultural Center, 432 West Belmont Street, Pensacola, FL 32501). Robert Atkins will be returning again, and he will have his Artwork on display for all to enjoy. Robert Atkins is a native of Pensacola, Fl. 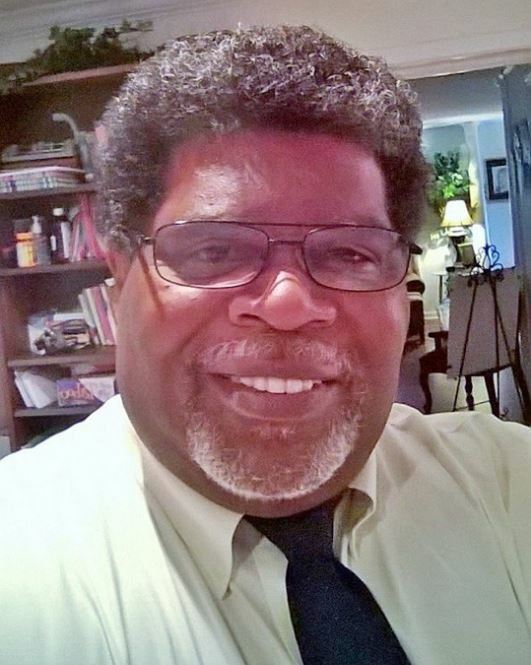 Robert attended public school here in Pensacola, but his love for art begin long before he started school. Robert feels that his talent is a God given one due to the fact he could draw recognizable figures and objects before he could write. For full bio click here. Presented by: Foo Foo Fest. Copyright © 2019 Back on the Blocks.